Zero: 2016 is an initiative to end veteran and chronic homelessness this year. It is led nationally by Community Solutions and locally by the Partnership for Strong Communities (PSC) and Connecticut Coalition to End Homelessness (CCEH). In January, 40 Connecticut providers and 9 state and federal partners joined Governor Malloy in signing on to Zero:2016. Of the 71 communities in Zero: 2016, Connecticut is one of only 4 states participating. What Are The Goals of Zero: 2016? Connecticut is poised to be the first state in the nation to end chronic homelessness. We are close to the finish line and we have the resources we need to reach our goal. Given the resources, there is no reason that anyone should experience chronic homelessness much longer. To achieve our Zero: 2016 goal, we are proposing a 90 in 90 Challenge, which will entail each CAN matching 90% of those verified as chronically homeless on their by-name list to housing resources within 90 days. What does this mean? Each CAN is tasked with verifying those who are on their BNL as being chronically homeless. Each individual who is identified and verified as chronic has the necessary documentation to be matched for housing resources. 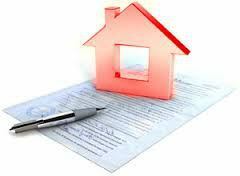 You DO NOT have to have individuals leased up within 90 days; they ONLY need to be document ready and matched to a housing resource. Why 90% in 90 days? The 90 in 90 challenge is meant to give us an opportunity to accelerate progress toward our Zero: 2016 goal, and to test our system to see what’s working, and identify where there may be opportunity for streamlining. Our aim is to build a fully functioning system across the state that can quickly identify, verify, and house those who are identified as chronically homeless. Check out the Timeline, Contacts, and more details about how we’re going to support your work towards this challenge! Welcome to 2016, the year we will end chronic homelessness in Connecticut! We’re making use of the state’s eight Coordinated Access Networks to develop collaborative approaches to finding and housing those experiencing chronic homelessness. The State of Connecticut, particularly through the Department of Housing and the Department of Mental Health and Addiction Services, has invested in this effort, bringing significant resources to the table. CANs are forming teams and developing new ways of doing business that make use of the resources available in the community and coming up with new solutions to break down barriers. CANs have developed by-name lists of everyone experiencing homelessness in their community. These lists are driving decision-making at the local level and helping state policy makers as they determine where and how to allocate resources. We’ve engaged with our national Zero: 2016 partners at Rapid Results Institute and Community Solutions for support and information on best practices happening across the nation. What does all of this add up to? Is it making a difference? Yes! Communities are able to identify the most vulnerable individuals experiencing homelessness and are housing them. Working together in CANs, providers have housed hundreds of chronically homeless individuals over the last year. But we need to ramp up our efforts if we’re going to meet our goals because we’ve got just 11 months left! Assembling a Zero: 2016 Core Vision Team comprised of state agency partners and statewide advocacy organizations that will help remove barriers, provide technical assistance and identify potential resources. Collaborating more closely with CANs and identifying leaders in each CAN to streamline communications around what’s happening at the state and local levels, identify barriers that need to be removed, spot opportunities for technical assistance and quality improvement, and celebrate the innovative solutions CANs are using to house those experiencing chronic homelessness. Shifting to a data system that makes better use of each communities’ by-name list so that we can better understand who has already been housed, who needs housing, the resources available and what further resources are needed. There’s no doubt about it, there’s a lot of hard work ahead. But the system being built in Connecticut will better serve the vulnerable citizens we work with every day. And Connecticut’s providers, state agencies and advocates are working together as a team like never before. So keep caring, keep working together and keep participating so we know what is working and what isn’t! For more information, contact Sarah Fox at sfox@cceh.org or Cindy Dubuque at cindy@pschousing.org. How is zero being measured? Click here to learn more. What are communities doing to create a collaborative system to get to zero? Click here to learn more. How are communities assessing individual’s needs and matching resources to those needs? Click here to learn more.